Although my old boss used to preach all the livelong day that ‘The numbers don’t lie,’ they certainly did to Martin Kampmann on Thursday night at “UFC on Versus 3.” While the only numbers that mattered read 29-28, 29-28, 29-28 in favor of Diego Sanchez, CompuStrike is offering up some other digits worth noting. The opening five minutes were dominated by Kampmann, but not 10-8 worthy despite a brief knockdown. The Dane takes it 10-9, on three all cards. According to the number crunchers, Kampmann landed 33 strikes to Sanchez’s 18 in the 2ndRound. He also connected on 19 powers strikes, while “The Dream” dropped 15 bombs. 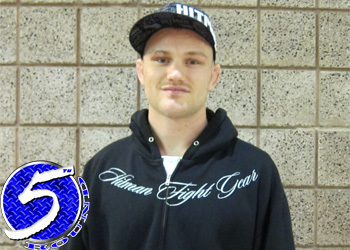 In the final five minutes, Kampmann edged the former “The Ultimate Fighter 1” winner 34-19 in total strikes. However, Sanchez had a 17-14 edge in power strikes connected.